Are you looking for a subtle and inexpensive change that can transform your eyebrows? 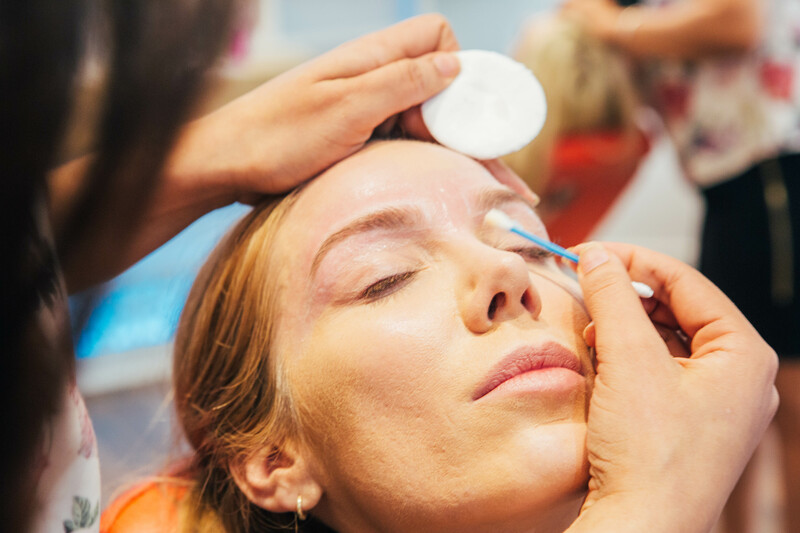 Look no further, Blink Brow Bar offers eyebrow tinting which can help you achieve full looking and dramatic brows that help to frame the eyes and give an overall polished look. Many women can benefit from eyebrow tinting, including individuals with sparse or light colored brows. While many use eyebrows pencils to fill and darken spotty eyebrows, the overall results are temporary. Eyebrow tinting is a semi-permanent fix that can give long lasting results. If you’re tired of filling in your eyebrows every day, then brow tinting might just be for you. The semi-permanent option will give you a longer lasting look, without the hassle of filling your brows in every day. Eyebrow tinting is the quickest way to achieve a thicker, natural-looking brow. Eyebrow tinting works for pretty much anyone. Even the brightest of blondes and redheads can get their brows tinted. Brow tinting is a 20-30 minute service depending on the color you are trying to achieve. Color is applied to lighter or sparse brows to make them more visible, defined and a lot fuller. Tinting is ideal if you were born with light colored, fine brows because you get a stronger looking definition and edge to your look. Tinting your eyebrows can provide numerous aesthetic benefits. Fuller, darker brows can enhance the general appearance of your eyes, especially if your previous brows were sparse or light-colored. Tinting is also beneficial to women who have sensitivities to traditional makeup. A darker brow tint can also provide extra definition for light eyes, but those with darker eyes, skin, and brows can benefit from a little color boost, too. A tint normally lasts between 4-6 weeks depending on your hair growth, time spent in the sun and how many times you wash your face. Exposure to sunlight, other environmental factors and bleaching elements can affect the lifespan of the tint. It will fade away naturally and you’ll barely notice it’s even happening. Trust us when we say you’ll want to dye your eyebrows again and again! If you are allergic or sensitive to chemicals and dyes we do recommend you come in for a patch test before your appointment. We will apply a tiny amount of dye on your forearm, behind your ear or in the crease of your elbow. By the end of the day you will be able to tell how your skin reacts to the dye. If you want to wake up each morning with beautifully polished brows, eyebrow tinting can help make it happen. Blink Brow Bar is dedicated to consistently providing high customer satisfaction by rendering excellent service. At Blink Brow Bar, our eyebrow specialists maintain a fair, friendly and creative work environment. Blink Brow Bar’s highly expressed mission is to supply services and products that enhance each client’s physical appearance and relaxation.